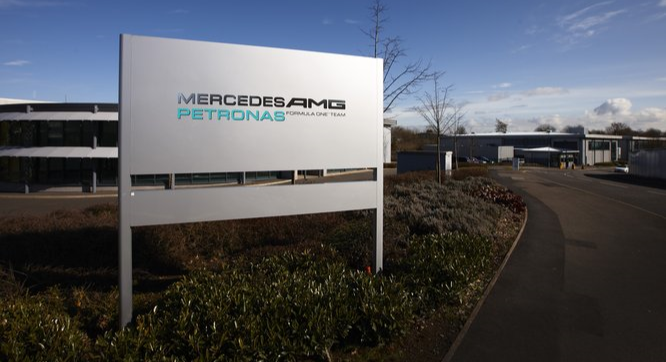 This project involved the refurbishment of the existing lighting, ventilation and air conditioning services within the wind-tunnel design offices at the Mercedes Benz AMG Petronas site located in Brackley. The existing services were deemed to be inadequate and provided suboptimal conditions for designers who worked throughout the day and night. Through careful thought and consideration, Thornley & Lumb provided a suitable M&E design that accounted for more than a 100 desk spaces, each of which housed multiple computers and monitors. Void-mounted Mitsubishi heat recovery units were specified to supply ducted fan-coil units that deal with the high fresh air and cooling requirements of the open-plan office. LED lighting was used throughout to provide a high standard of illumination to suit design tasks carried out in the office. The design and installation of the new services was successfully carried out and handed over within very strict time constraints to coincide with the annual shut down of the Petronas site.